Big jobs take big power – that’s why Hi-Way large truck applicators are engineered with the most robust, performance-enhancing components and features you’ll find on the market today. Even the roughest road conditions are no match for these beasts – built strong for max payload and pinnacle productivity. Municipalities know they can count on Hi-Way for high performance mile after mile. Powerful productivity, low maintenance and precision manufacturing come together seamlessly in the operator’s choice for multi-purpose dump bodies. Hi-Way multi-purpose dumps deliver optimum versatility plus maximum payload, in a selection of rear, front or combo discharge units that stands up to the toughest conditions around. 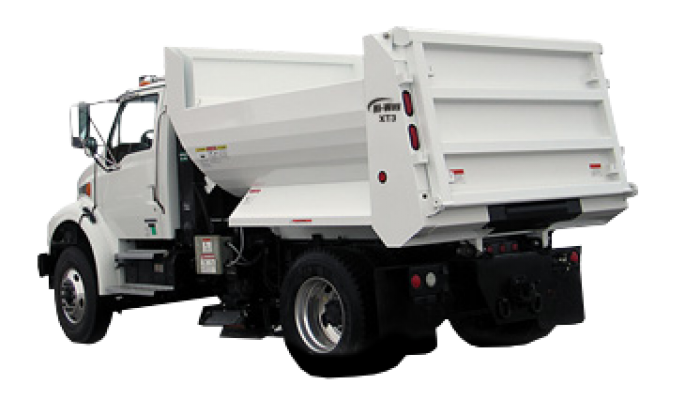 Spread, dump or haul with the confidence of robust engineering design day after day. 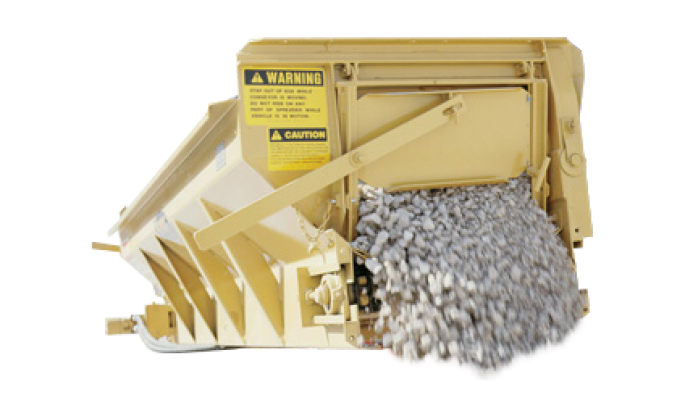 This is no ordinary salt and sand spreader – this is a precision machine producing less material bounce and better road adhesion, virtually eliminating over-application on roadside shoulders. The Hi-Way Xzalt delivers a powerful 70:30 ratio of dry/liquid material via an innovative directional spinner that broadcasts mixed materials on one, two or three lanes to reduce time, fuel and miles. 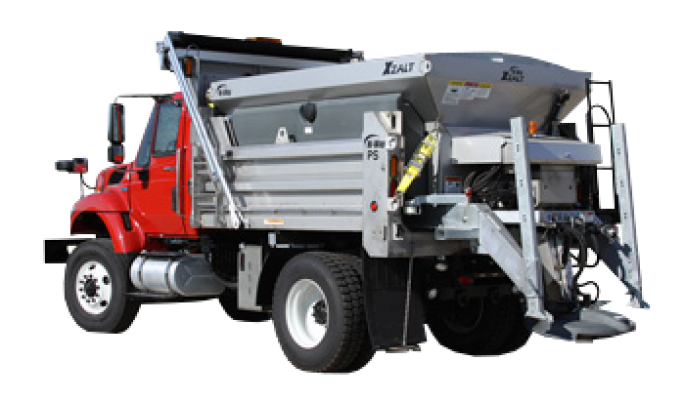 Xzalt delivers what every municipality demands for snow and ice management. Deceptively simple yet highly productive, Hi-Way’s Pre-Wet Systems are no less engineered than the most complex spinner spreaders on the road. 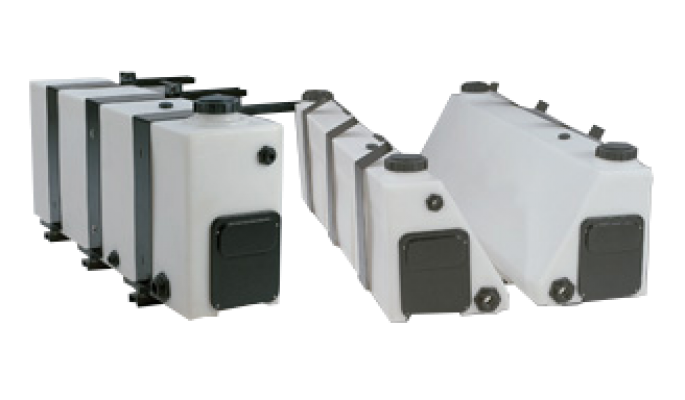 Operators demand excellence whenever they hit the road, and these Pre-Wet Systems more than deliver, with high-density polyethylene for UV protection, a top splash proof vent, a liquid relief valve with gauge and non-corrosive plumbing for tailgate or V-box applications. 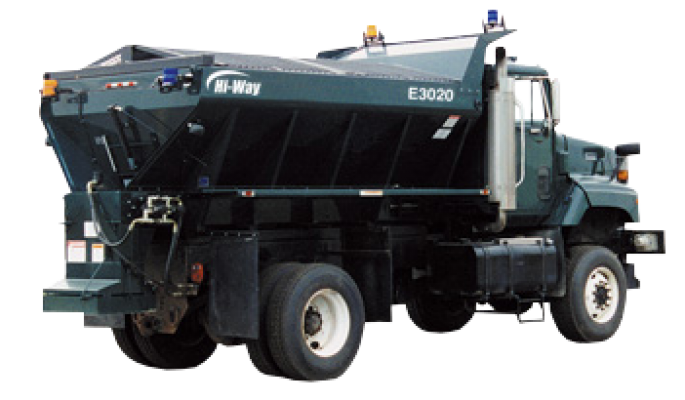 Small trucks get big application power from Hi-Way’s high-power, high-capacity spreading options. For even the smallest, hardest-to-reach spaces, make maneuverability a priority with these units, built with productivity and the operator in mind. Take application to the next level with advanced features like an inverted V that mounts in fixed or swinging position to reduce bridging. Precision manufacturing, low maintenance features and advanced conveyor systems – it’s all right here. 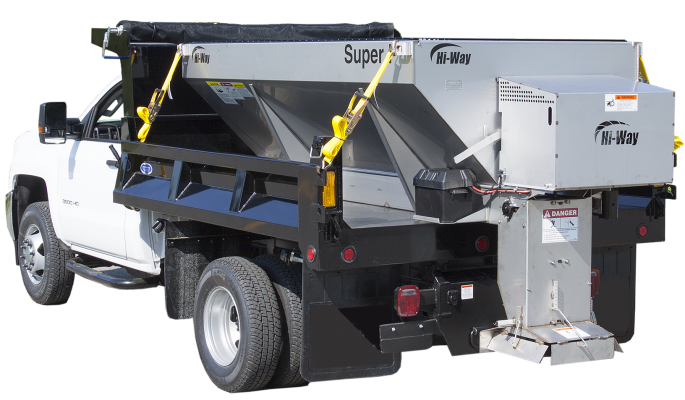 It only takes one superior tailgate spreader to take road maintenance to new levels of ease – and one person to run it thanks to Hi-Way’s intuitive no-tools designs. With robust construction and clever engineering, these spreaders deliver performance with the versatility to windrow, berm, deice, fill trenches and maintain edges. Consistent swath, convenience and low maintenance – get the trifecta from Hi-Way tailgate spreaders.